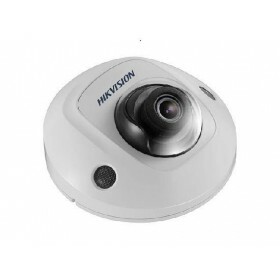 Part of Hikvision's Easy IP 3.0 range of cameras, the HIK-2CD2955FWDI is an indoor IR panoramic camera that produces an exceptional 5MP high-resolution video. Powered by the latest innovation in image sensor technology and an ultra high definition image processing chipset from Amberella it supports H.265 and H.265+ intelligent video compression, which reduces bandwidth/storage requirements by up to 50% and 80%, respectively. Providing an ideal combination of smart features and affordability, the camera includes 120dB true wide dynamic range (WDR) and built-in EXIR 2.0 infrared technology providing up to 8m visibility at night. With a 1.05mm lens, this camera provides a horizontal field of view of 180 degrees. 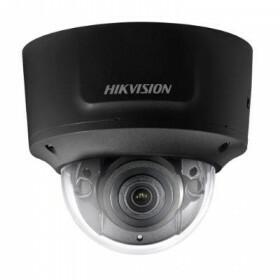 Rigorously tested, Hikvision's generation cameras have been designed to deliver 24/7 video surveillance with the clarity you expect from a Hikvision network camera. DIY Security Cameras deliver products Australia wide using a variety of courier companies for a flat fee. Deliveries to Northern Territory need to be quoted. Please contact us for a quote. Due to security reasons, all deliveries will need to be signed for at destination by the purchaser. In cases where the nominated purchaser is not available at the time of delivery at the location, then products will need to be collected from the designated place as determined by the courier company. Orders are dispatched within 3 business days and shipping times are estimated at between 3-5 business days depending on your location within Australia. Please note that delivery times maybe extended over the Christmas/New Year period. All special orders and in some cases if the product is not available at our distributor and needs to be specially ordered from the manufacturer, product delivery time can take up to 4-5 weeks. Please refer to our Terms and Conditions for further details. All DIY Security Cameras, Hikvision IP cameras and recording device (NVR's/DVR's) are covered by a 3 (three) year back-to-base manufacturer warranty. It is the customers responsibility to ensure that items you order are correctly specified for the intended use. Please use this section to leave your comments about this product!